This is the inaugural Shackles and Cringles Blog Posting and I am so happy that George Carter is initiating the format. We hope to publish just frequently enough that we stay current and you stay tuned. Please subscribe to make sure you hear about each post. 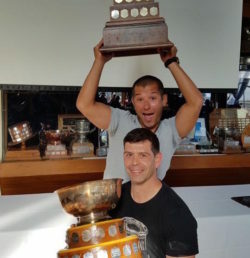 I was asked by Tannis to write an article on the recent Canadian Championship. Having recently written an article on the Internationals, I thought I would just include some key points on the championship and then concentrate on another topic, about which I have been speaking to several of my Mooredale club members recently: ‘Focus on the big sail’. Almir and I had been looking forward to the Championship for quite some time for a number of reasons. 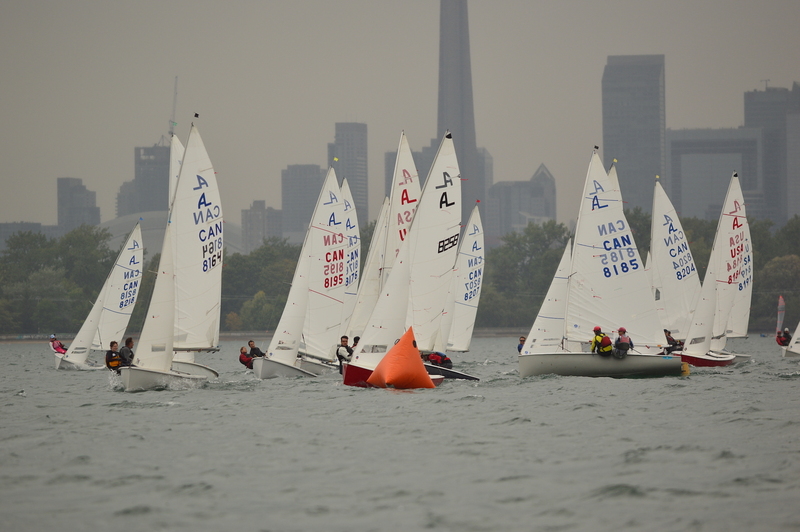 I haven’t sailed in a Canadians since 2012; it was the first time that we were entering with some expectation on our shoulders, with strong competition from the defending champions plus strong teams from Toronto and the US; and, it was to be sailed on the lake in an area we had not sailed in since 2011, where we found the current really spiced up the racing! Once again the current did spice it up. The Albacore fleet has little experience with this factor (and my tidal sailing is some years ago now). On Friday, the starts were affected by current pushing the fleet back behind the line, leading to an opportunity to get a good start if you had the courage to accelerate a little earlier than you are normally used to. 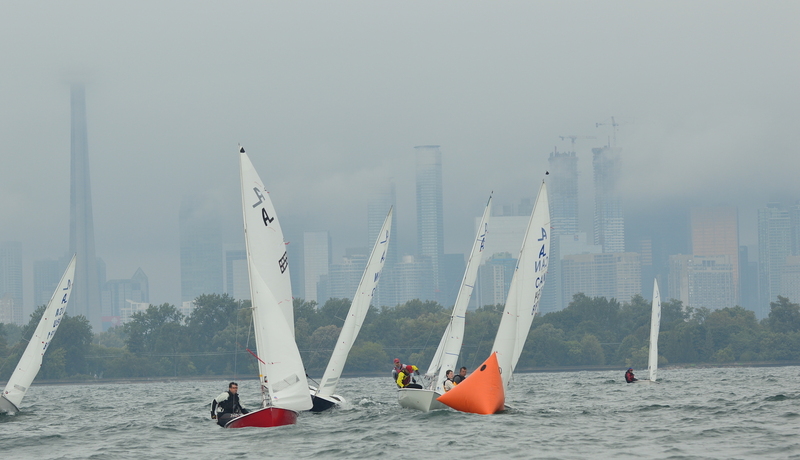 Then, there really was some fun at the windward mark in Race 2, where we managed to tack 3 times for the mark before finally making it around! 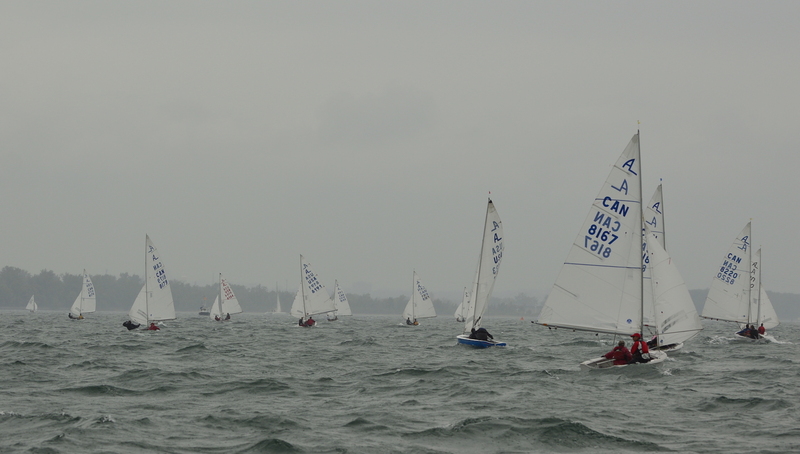 On Saturday, the fleet, unabated by the current, was starting too close to the line and many OCSs were collected. 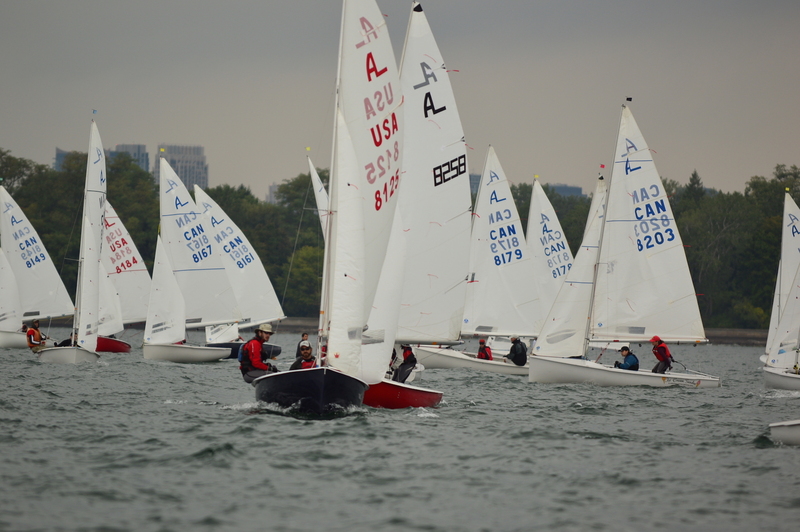 We started conservatively each time, in one case sailing away from the start on a run in the final 15 seconds, to make sure that we were clear. 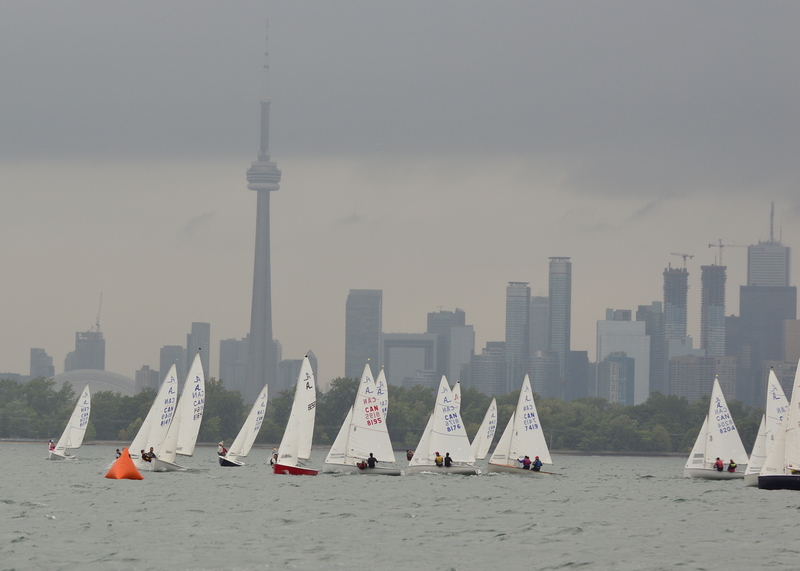 It was a regatta where consistency was important and we sailed conservatively throughout, staying away from the sides of the course and playing the shifts during all three days. (The one time we inadvertently ventured onto a layline, Barney tacked right on top of us and said “You earned that!” – how right he was!) 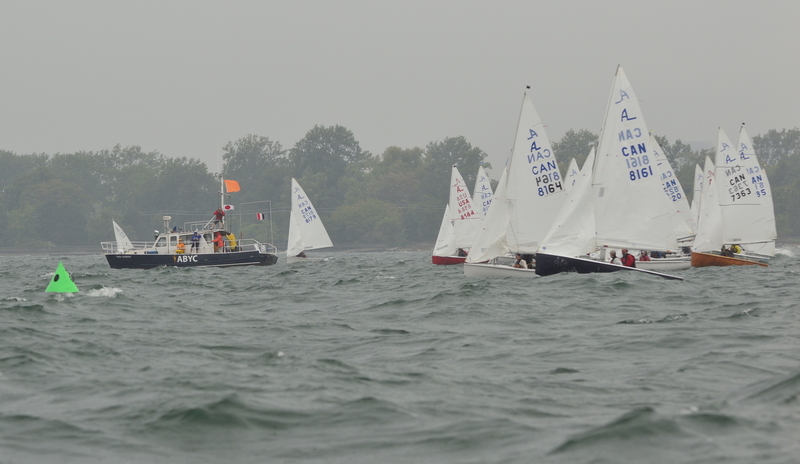 Although boats would sometimes come out ahead of us from one side or another, these were not the same boats each time and we got consistent results, whereas other boats got a mixture of low and high scores. Sailing this way and keeping the boat moving fast in changing conditions, meant we could sail our own races and keep an eye on our nearest competitors. 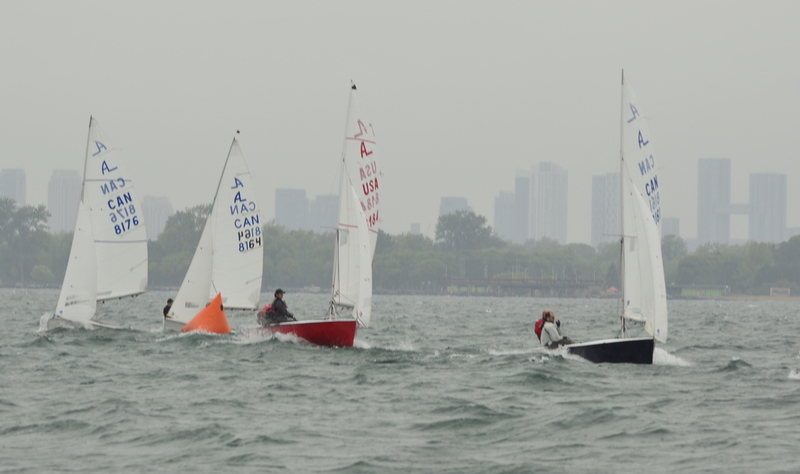 Tactical considerations aside, our main focus during the event was to focus on upwind boatspeed, keeping our boat moving as fast as possible in conditions that were constantly changing, both in terms of wind and waves. Not pointing too high and consciously sailing 1-2 degrees lower than normal in the waves was key, as was adjusting the boat through the gears in the changing conditions. Considering the years of experience we have with our current sails, we know how to get them adjusted to the conditions. This is the segue to the second half of the article, ‘Focus on the Big Sail’. 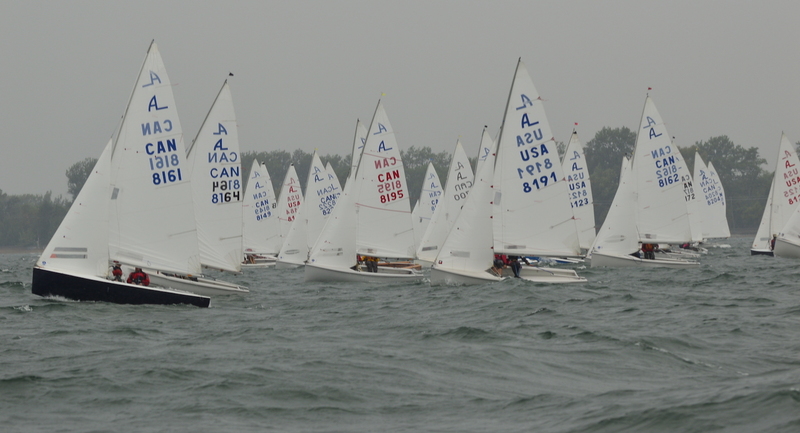 I have sailed with many different skippers in the course of the Friday Night Races, and had many discussions about how to set the boat up for the upwind leg. Typically the conversations are where to position the jib tracks, how much jib halyard tension to have, the correct jib sheet tension, how to sail to the jib telltales, etc. I always found myself asking myself the same question, ‘what about the big sail?’ In my mind, on so many boats the jib is the key consideration when setting the boat to go upwind and the mainsail ends up neglected, to the detriment of boatspeed. There are several key misconceptions (in my opinion) that I have heard over the years that I have been sailing the Albacore. If you hear or use any of these guidelines, I think that it’s time to reevaluate! In my experience these statements are generally incorrect and all are signs that a team is not focused on consistently extracting the most power from the main sail in the sail plan. The mainsail is the biggest sail, it is the highest sail, it sees the strongest wind. It is surely the priority when making tuning adjustments to maximize the efficiency of the sail plan. So while many focus on getting the jib set up perfectly, adjusting jib cars and jib sheet tension etc. and then steering to the jib upwind, I focus on the main sail first. I set it up first when sailing upwind, then adjust the jib to match. That makes more sense to me. 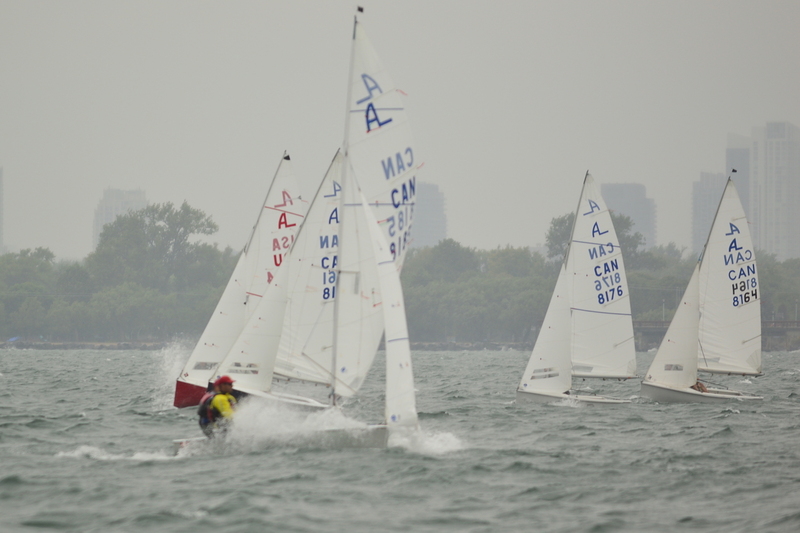 Sail upwind and adjust the jib and main to their typical upwind sheeting tension. The jib leach should be pointing just outside the spreader. Sheet the main in gradually, steer the boat to the top mainsail ticklers the same way you would to the jib ticklers normally. 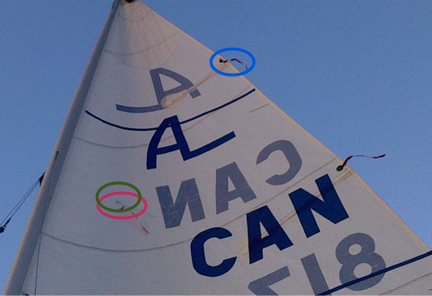 The circled ticklers in the photo are the only 3 I use upwind (inside, outside and leach – red, green and blue circles in the photo). So steer and sheet to just keep the inside mainsail telltale lifting slightly with the leach telltale also flying. Then sheet the main in further, keep gradually sheeting in and one of two things should happen, EITHER the leach telltale will stop flying indicating that the upper past of the mainsail is ‘hooked’ and has too much depth/curvature for the wind to remain attached at the leach OR the outer telltale will die indicating that the top of the sail is sheeted too tight an angle of attack to the wind. If the leach telltale dies first then the sail is stalling before it has been sheeted to the optimum angle to the wind, in this case I put more prebend on (or reduce the amount of mast ram). This will flatten the top of the sail and encourage the wind to remain attached. Typically I will add about 0.5” measured at deck level each adjustment. If the outer telltale dies first, then I will remove some prebend or ram slightly more, again by about 0.5” to give the sail more depth. I then repeat, the aim being to get the outer telltale and the leach telltale to die at about the same time optimizing both the angle of the top of the mainsail to the wind and its depth. Once this is done, then the jib sheet can be adjusted. 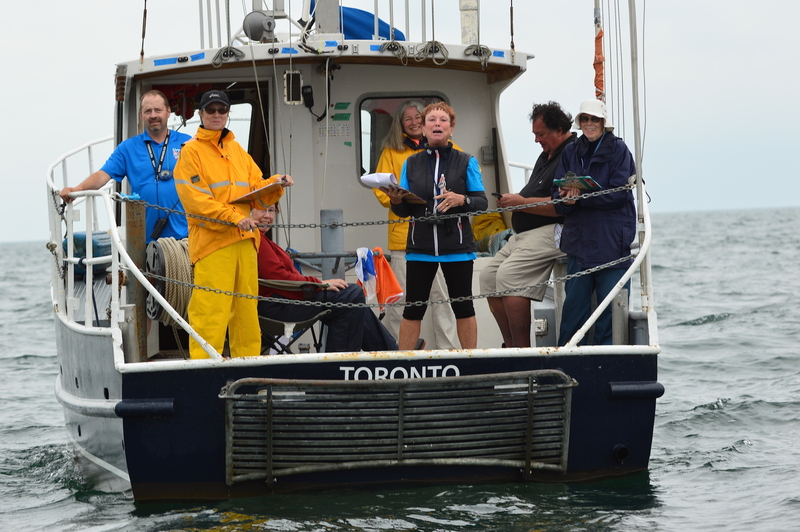 Sailing to the telltales on the main (why use the jib when the main is the biggest sail? ), adjust the jib sheet tension so that the lower telltales on the jib break at the same time as the main sail. That way the jib and the main are set up to be at maximum power at the same angle the boat is sailing to the wind (not necessarily the same wind angle on each sail, as they are probably different). Once this is done, then the jib telltales can be used to guide the boat upwind as they will match the behaviour of the main telltales. Although it is perhaps a personal preference, I find that if the jib is set up so that each set of inner telltales lifts at the same time that the foot of the jib is too full and the leach is too tight, making the slot too narrow. So in my boat the upper telltales on the jib almost always lift before the lower ones. Now this is not a set-and-forget process, it is something that I look at regularly upwind in light to medium conditions, and make adjustments as necessary. It takes a bit of practice and far more looking up at the top of the main than many of us are used to but I think it makes a real difference to understanding what makes the boat move consistently well in light to medium conditions and gives a more analytical procedure for setting up the mast bend than many of us use. 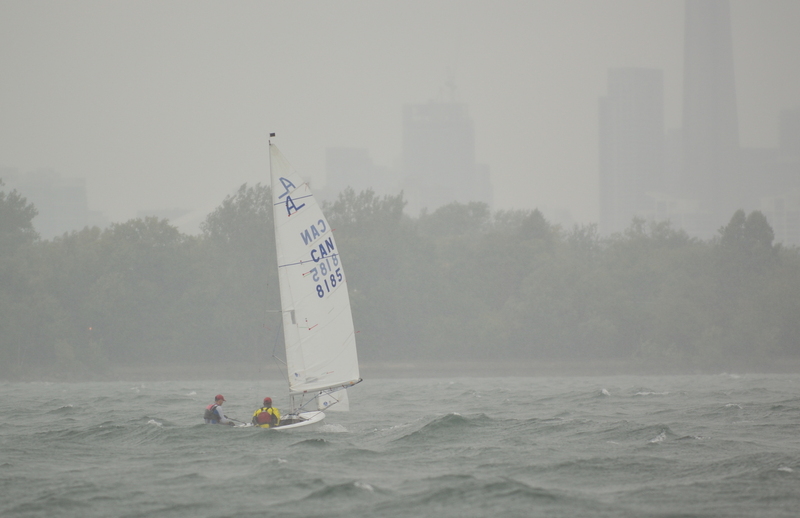 So, next time you are out in these conditions, try to ‘Focus on the Big Sail’ and see if it makes a difference to you! 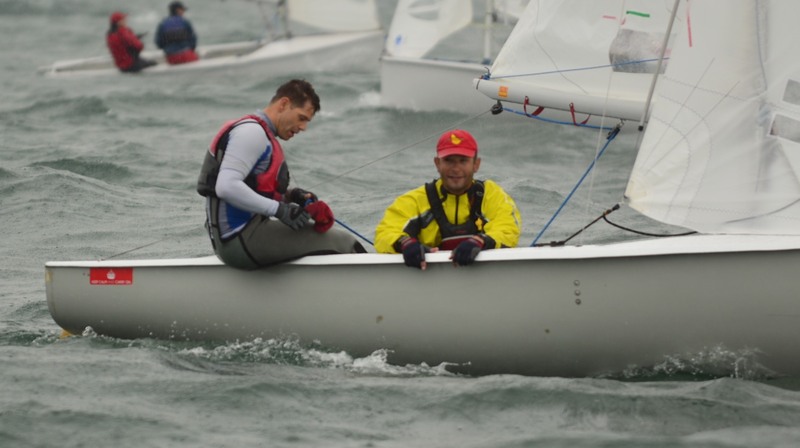 The prebend is not only used in light winds, I am often using prebend in medium winds depending on the conditions and following the process detailed in the article. Then as the wind increases and once the vang is used to depower the boat, I gradually put the prebend on again to flatten the sail in conjunction with the vang. Jib car positions have not been mentioned in this article, generally I have always found that I like the cars much further back than most boats and as a result the top jib inside telltale almost always lifts before the others.